iRealHousewives | The 411 On American + International Real Housewives: NeNe Leakes Gives An Update On Her Husband Gregg’s Health! NeNe Leakes Gives An Update On Her Husband Gregg’s Health! NeNe Leakes is taking to her Bravo Blog to dish on this week's episode of The Real Housewives of Atlanta. NeNe Leakes shares her thought's on Cynthia Bailey's date Will and gives an update on her husband Gregg's health. BravoTV.com: What were your first impressions of Will? 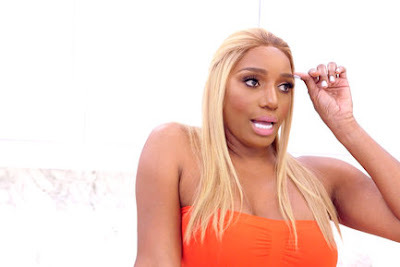 NeNe Leakes: My first impressions of Will were that he was a nice gentleman, but he definitely didn’t look like the type of man Cynthia would be attracted to. BravoTV.com: How scary was it dealing with Gregg's health issues? How is Gregg's health now? Dealing with Gregg’s health issue was very scary for both Gregg and me. No one wants to hear that something possibly could be going wrong with your heart! Gregg has never been hospitalized before, so my goal was to keep a strong face on for him hoping that he would pull strength from me. He’s always felt that he would have a heart condition, because his father passed away with a heart condition. I believe you can speak things into existence. The tongue is very powerful but we’re happy to announce that Gregg’s health is much better today! He’s changed his diet and even lost a few pounds. BravoTV.com: What did you think of Moore Manor and Chateau Sheree? My thoughts on Moore Manor and Chateau Sheree are that their homes are very fitting for them! I never understood the pettiness in fighting over whose home looks the best considering that when a person goes out to search for a home to purchase, they generally choose the home that is right for them and their family. Who buys a home based off someone else’s needs and wants? They both have beautiful homes. BravoTV.com: Who had the best Soul Train moves? The best Soul Train moves have to go too me hunty, LOL! I popped up in that pad with all those jive turkeys and shook my groove thanggg! Tune in to #RHOA Sunday for Episode 4 and catch me hosting my first annual Girls and Gays All White Party.